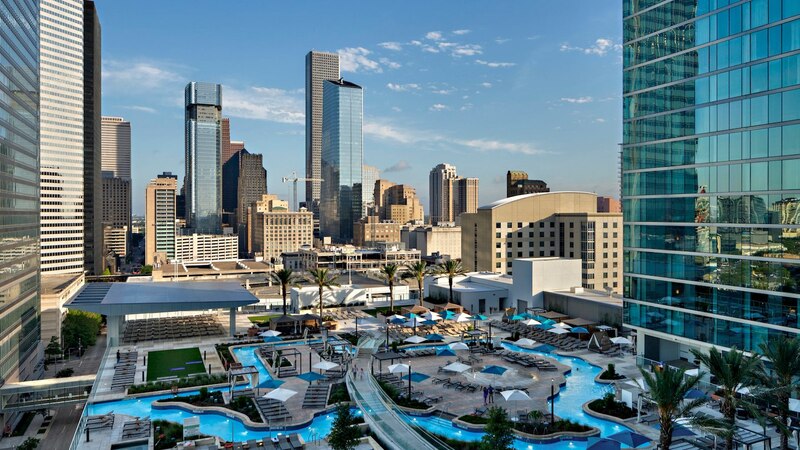 We are looking forward to seeing you in Houston at the Marriott Marquis! 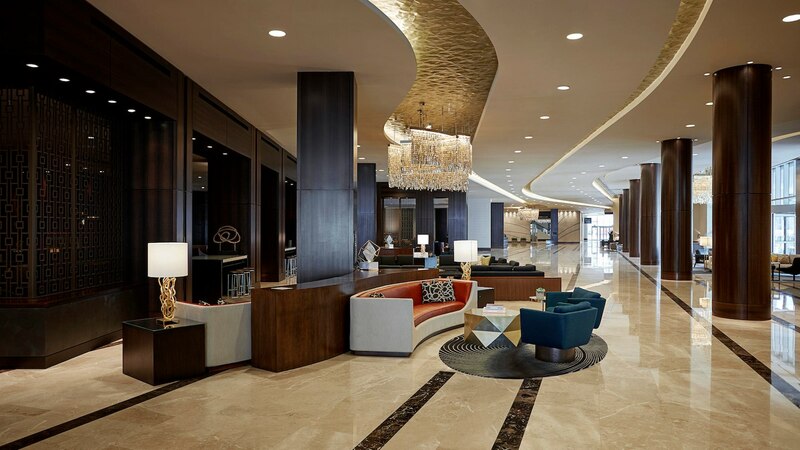 Please ensure that you register for the conference AND book your room. Navy SEAL Chad Williams is the author of "SEAL of God"
As a frequent guest on Fox News Channel, CNN News Room, Anderson Cooper 360 and more; Chad Williams draws from his experience in military to provide a Navy SEAL's perspective on issues related to effective leadership, resilience, teamwork, overcoming adversity and motivation. Just days prior to entering SEAL training, Chad's resolve would be thoroughly tested when he turned on his television one morning to see the unexpected graphic video footage of his mentor and training partner, Navy SEAL Scott Helvenston, who was brutally killed, mutilated, and dragged through the streets of Fallujah, Iraq. Hung upside-down from the Euphrates River Bridge while an incensed Iraqi mob repeatedly celebrated and chanted in Arabic, “Fallujah is the graveyard of Americans.” Helvenston's body was set ablaze as Chad witnessed. Forged by adversity, Chad became steeled in resolve to complete SEAL Training in honor and memory of his good friend, Scott Helvenston. Chad entered the military's most difficult and grueling training known as BUD/S. As 1 of 13 out of a class of 173 trainees, Chad climbed the mountain and earned his Trident which signifies he had become a Navy SEAL. While the taste of success is great, Chad learned the SEAL Team motto of "earn your Trident everyday" which means the SEALs don't rest on their laurels, the training is never really over because they always strive for better! Serving his country proudly through multiple deployments on SEAL Teams One and Seven Chad continued to hone the technical skill, tactical proficiency and attention to detail that our nation's best warriors adhere to. In an ironic final operation in Iraq, Chad's shares the story of how his SEAL Team was set up on a premeditated ambush similar to the location and scenario that took the life of his mentor Scott Helvenston but on that occasion Chad and his Team were victorious, overcoming the enemy and odds set against them in a gun battle to the death. 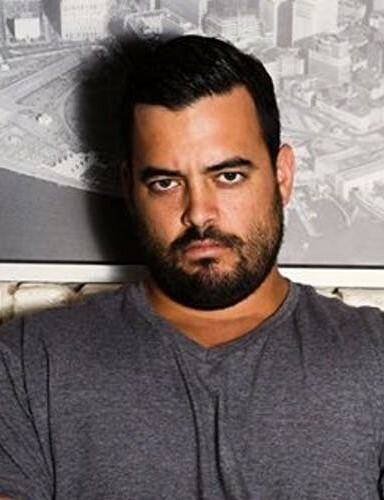 Today Chad is a bestselling author of his book, SEAL of God and an in demand keynote speaker. Drawing from his experiences as a SEAL, Chad grabs hold of his listeners, illustrating the SEAL mindset and ethos that revolve around leadership, teamwork, integrity, safety, mental toughness, discipline, overcoming adversity and grit. 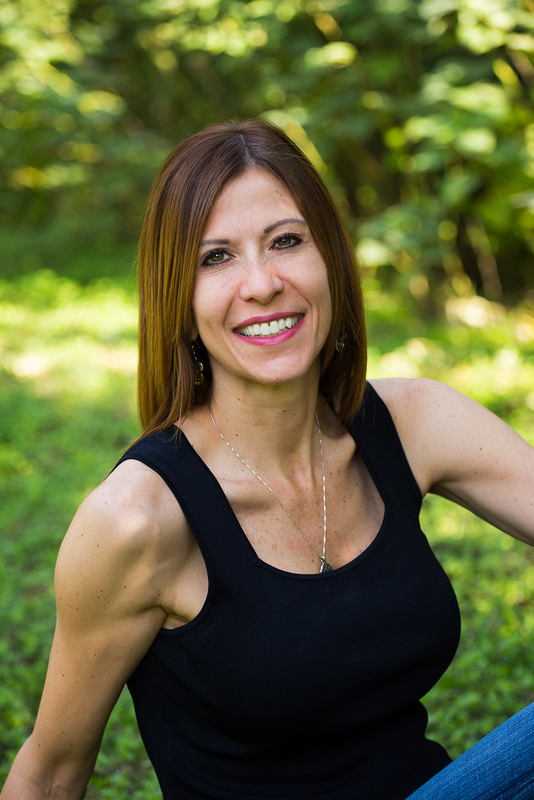 Dr. Tania Glenn is the president of Tania Glenn and Associates (TGA), PA a clinical practice in Austin, TX that is focused on promoting resilience, critical incident response and peer support team training and activation. As a leading national clinician in the treatment of post-traumatic stress disorder (PTSD), Dr. Glenn specializes in working with emergency responders, military and the aviation community. As a licensed clinician with twenty-seven years of experience, Dr. Glenn deployed to Oklahoma City in 1995, New York City in 2001, New Orleans in 2005 and Dallas in 2016 in support of law enforcement officers, fire fighters, and national guardsman who responded to the Murrah Federal Building, World Trade Center terrorist attacks the aftermath of Hurricane Katrina and the Dallas Police shootings. Recognized nationally, Dr. Glenn’s clients include a host of Texas and Arizona Police, Fire and EMS Departments, commercial aviation and air medical programs. She is the Clinical Director for several peer support teams with her unique perspective to special operations competencies. Dr. Glenn’s emergency room experience includes ten years at Brackenridge Hospital, Austin, TX. She is an advisory board member for the Brattleboro Hospital Uniformed Services Worker’s Retreat, Brattleboro, VT. Tania is a former Board Member for the Vets 360 – The Unseen Wound in San Diego, CA. She also sits on the Board for the Tug McGraw Foundation, with a focus on treating and healing Traumatic Brain Injuries. Having published numerous articles, Dr. Glenn serves as a regular contributor to Air Beat: The Official Journal of the Airborne Public Safety Association. A 2006 film documentary titled “Between Iraq and a Hard Place” featured Dr. Glenn for her traumatic stress work for returning military members. In 2019 Dr. Glenn created a documentary titled "First Responder Resilience: Smashing the Stigma" to highlight the issues first responders face and to offer solutions for keeping first responders on the line. This documentary is now featured in many academies and continuing education in law enforcement, fire and EMS agencies across the country. Dr. Glenn has authored three books. Protected But Scared is a book written for the children of police officers to offer guidance and support to children, parents and police departments in addressing the secondary trauma that law enforcement children face. First Responder Resilience: Caring for Public Servants encompasses the best standards of care for law enforcement, fire and EMS based on over twenty-seven years of experience in assisting these professionals during and after trauma, stress and burnout. Code Four: Surviving and Thriving in Public Safety is a personal survival guide for first responders, offering ways to navigate their careers and their retirements in a resilient, healthy and successful way. Registration fees are $100 for TMPA members, $150 for non-members, and $150 for spouses and guests (children are considered guests). Registration fees will double after July 18th, so please register early! 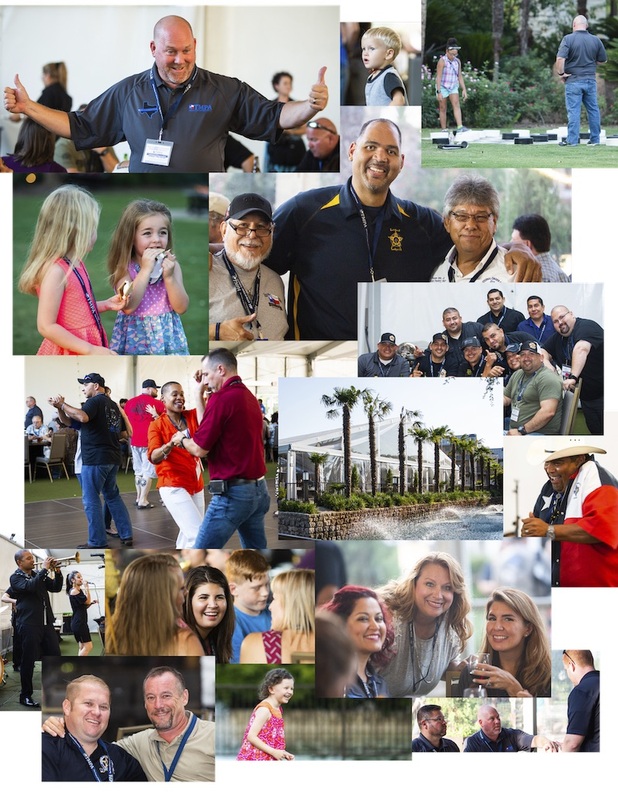 If you are registering multiple people from your agency, please e-mail tmpaconference@tmpa.org with a list of names or call 1-800-848-2088. 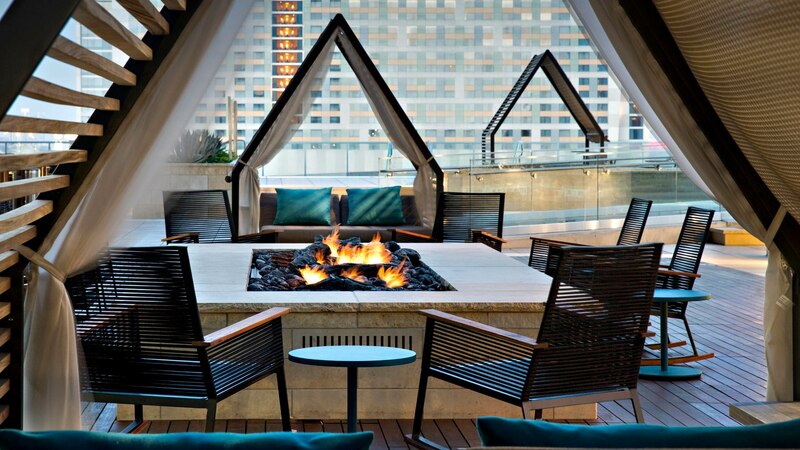 Hotel room fees are not included; reservations need to be made separately. Email us if you are registering multiple people from your agency. Call us if you are registering multiple people from your agency. 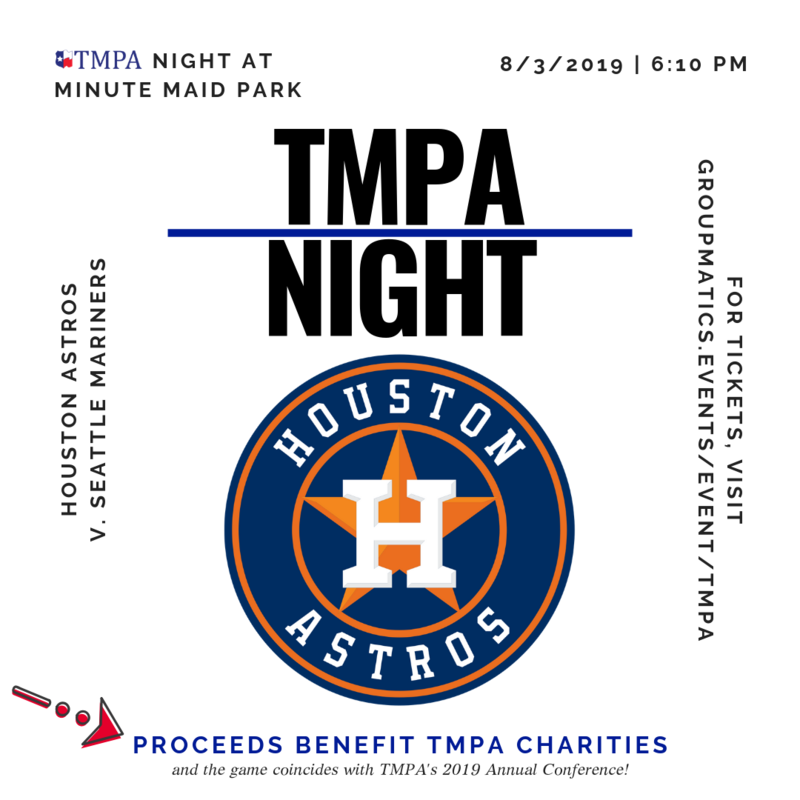 There are three levels of sponsorship for TMPA's Annual Conference: Gold Sponsor ($4,000), Silver Sponsor ($2,000), and Bronze Sponsor ($1,000). Additionally, reserving a vendor table is $400. You may choose to both sponsor the conference and have a vendor table. Gold sponsorship includes a complimentary vendor table. 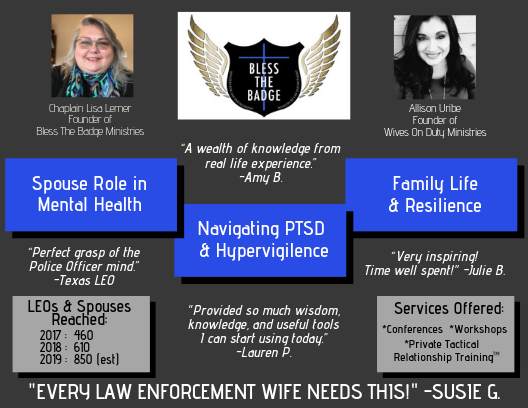 Bless the Badge breakout - "Resilient Relationships"
The Bless the Badge breakout session will be returning to TMPA's Annual Conference this year for LEO spouses. 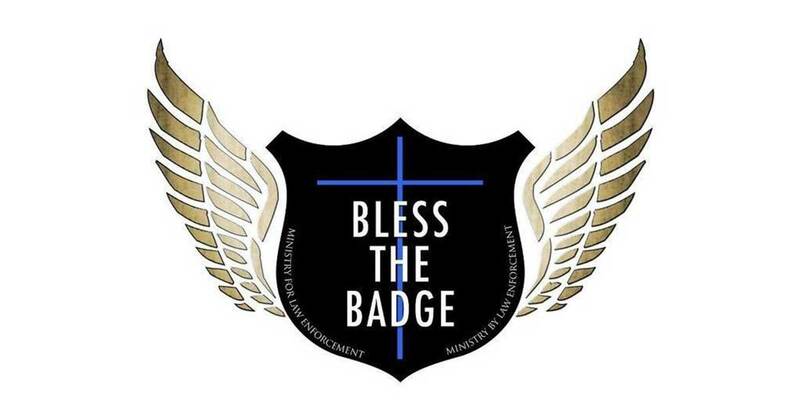 Bless the Badge has a dedicated mission to see Blue Families equipped emotionally and mentally to build stronger families. They desire to come alongside Law Enforcement Families to strengthen marriages and relationships through Tactical Relationship Training, partnerships and resources they have available. Please stay tuned for more information on the conference agenda. Follow us on Facebook and Twitter to see the latest news and updates about the conference this year. For questions or to register, email TMPAConference@tmpa.org.